Wall, NJ: The Pharmafill(TM) CS10 new cotton inserter from packaging machinery manufacturer Deitz Co., Wall, NJ (www.Deitzco.com), automatically inserts cotton pieces into the center of solid dosage bottles at high speeds of up to 180 pieces per minute with 100% accuracy. 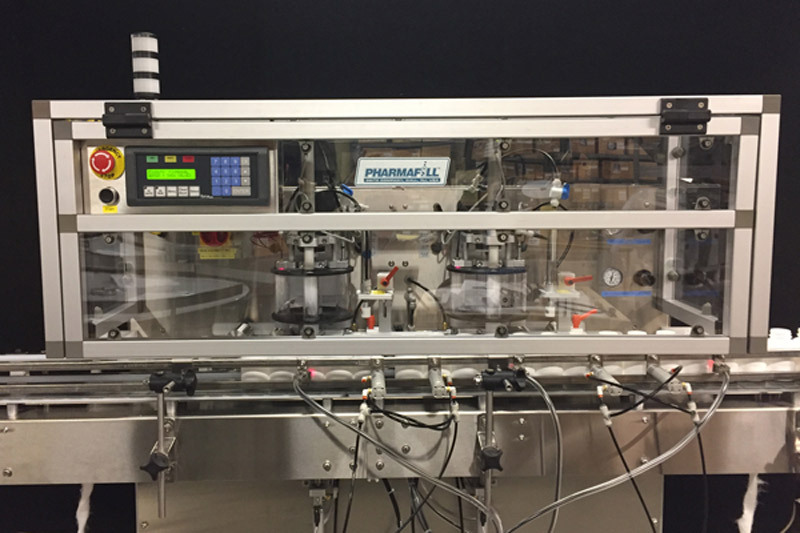 Designed to accelerate the filling process, the new Pharmafill CS10 cottoner features dual filling heads that work in tandem to insert pieces of natural cotton, rayon or polyester up to nine inches long into two bottles at precisely the same time, doubling the production speed versus inserters using a single filling head. Developed for contract packagers and manufacturers safeguarding pharmaceuticals, nutraceuticals, and other solid dosage products, the CS10 cottoner automatically separates the cotton from a continuous coil into individual pieces of uniform length using a pinch roller system that eliminates the need for blades along with their associated safety and maintenance hazards. During operation, the CS10 inserter monitors the bottle position, verifies cotton is present for inserting, and automatically stops the process if the cotton is missing or if no bottle is available for filling. The cotton inserting machine includes automated, PLC-controlled setup and operation for reliable, repeatable, unattended performance, an automated lift platform for adjusting the height of the filling tube over the conveyor, and a hinged safety shield that automatically stops machine operation when opened for access to the internals. The Deitz CS10 new cotton inserter is manufactured at the company’s Wall, New Jersey, headquarters and ships fully tested with a full warranty.